Sport sometimes lifts you up; other times it drags you down. This particular author, after having sat through the crushing disappointment of a Camanachd Cup performance, did not particularly want to blog about the end of season Glen games despite the fact that the boys played well enough when they were asked to pull on the red and black - and there were one or two other things too that merited a mention - and perhaps still might get one given there is now little else to write about but shinty politics. Then after a spell in the doldrums a game comes along which lifts the spirit and that surely was the first leg of the mixed code international. The night before the match the Marine Harvest awards ceremony was held in the Kingsmills Hotel and while the Wing Centre was certainly intending to report on the success of Glen’s Fraser Heath who received the under 21 trophy, the two guys who picked up the major awards Stuart Macdonald of Lovat and Steven Macdonald of Newtonmore are worth a blog all on their own. Why? Simply because along with all the other guys they put in superb performances at the Bught the next afternoon and for a week at least let you believe that shinty was every bit as good as hurling. This writer still believes it is, but after last weekend in Newry he lacks the evidence to prove it. The week before at the Bught was very different. A bright dry afternoon right after the National Mod with the Bught dry, short and in fine condition for an open game despite the stiffening breeze - and the Shinty fans turned out in goodly numbers despite the fact that universal wisdom in the bit of the stand where yours truly sat was that the boys would be “up against it”. 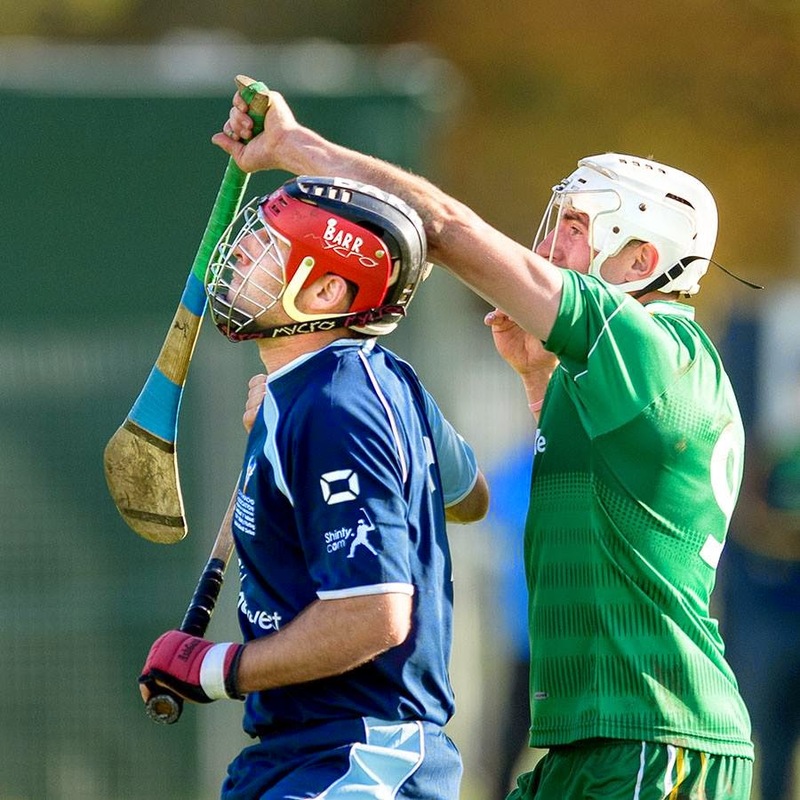 But then shinty folk always say that simply because the Irish guys are professional in all but name, training 3 to 4 times a week and playing in a sport which is backed firmly at national level. 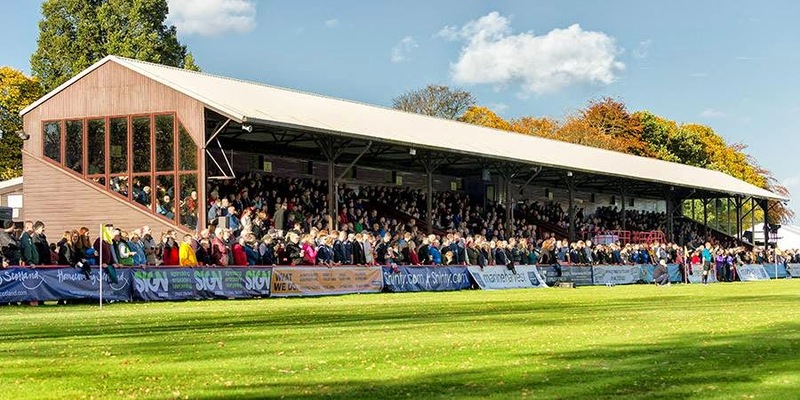 Shinty by contrast is patronised in most places and even in Inverness, the Highland Capital, is at best, regarded as a rural eccentricity. This much we all know. Still on that first Saturday the guys won: this is how the Herald guy more or less saw it. 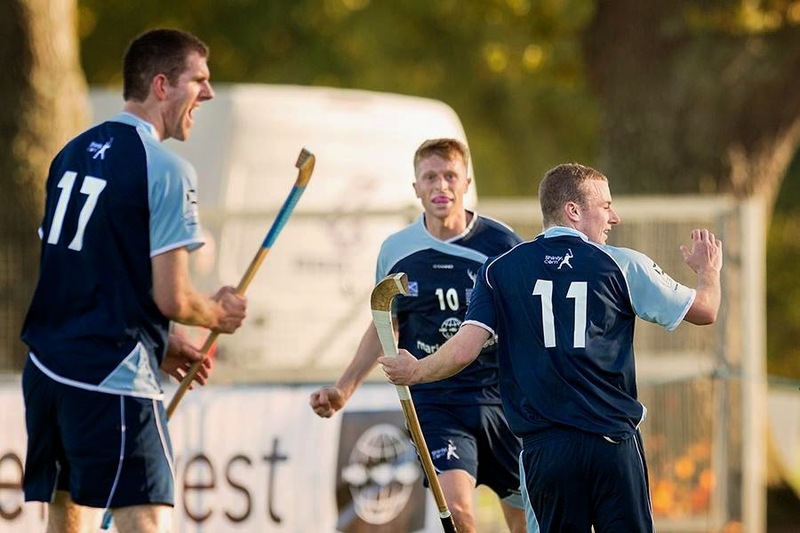 Ronald Ross’s side restored some pride to Scottish shinty when they pulled off a memorable victory against Ireland’s hurlers and put themselves ahead in the series for the first time since 2010. The last few clashes in the mixed code game have seen the Scots struggle with the pace of the Irish forwards but this time it was the home side which dominated. After taking an early two point lead thanks to a Kevin Bartlett strike and with the assistance of a strong breeze, the Scots looked likely to overwhelm their visitors but first Gary Innes and then Kyles front man Roddy Macdonald missed simple chances while at the other end, Scotland keeper Stuart Macdonald made a tremendous reflex save to keep out a point blank strike from Tipperary’s Patrick Maher. Both sides appeared to cancel each other early in the match but it was Scotland’s Bartlett who put his side a further two points ahead in 14 minutes from a free hit won by the persistent play of Newtonmore’s Fraser Mackintosh. Mackintosh then turned provider when he dispossessed an Irish defender and Kyles’ Roddy Macdonald scored from close range to add a further three points to his side’s tally. A further two pointer from Bartlett gave the Scots a 9-0 lead before the visitors finally got on the score sheet in 25 minutes first through a single point from Patrick Horgan and then with a goal from Cork’s Connor Lehane who fired an unstoppable shot past Macdonald from an acute angle. Horgan clawed another Irish point back before the Scots re-asserted their dominance when a neat interchange between John Macdonald and Mackay let Newtonmore’s Paul MacArthur clear but his effort flew just over and only counted for a single. Bartlett however was once again on hand with another two pointer and although Horgan notched another point for the visitors Scotland went in at the break with a 13-6 lead. If the Scots supporters were in any way concerned about their side playing into the wind in the second half, their minds were quickly set at rest. Though Paul Dermody picked up an early single, Roddy Macdonald who has been in the international wilderness for a year or two repaid the manager’s faith in him when he nipped in front of his marker to glance home a Bartlett through ball for his second goal of the afternoon. Two more points from Bartlett helped Scotland further ahead before Patrick Maher ran through to score a fine solo goal with the pace beginning to take its toll on the Scottish defence. Bartlett once again helped out with a further double. The Irish fought back with points from Lehane and Paul Divilly but Bartlett however who had the last word when he plucked a high cross out of the air and fired the ball home for Scotland’s third goal to confirm his status as man of the match. 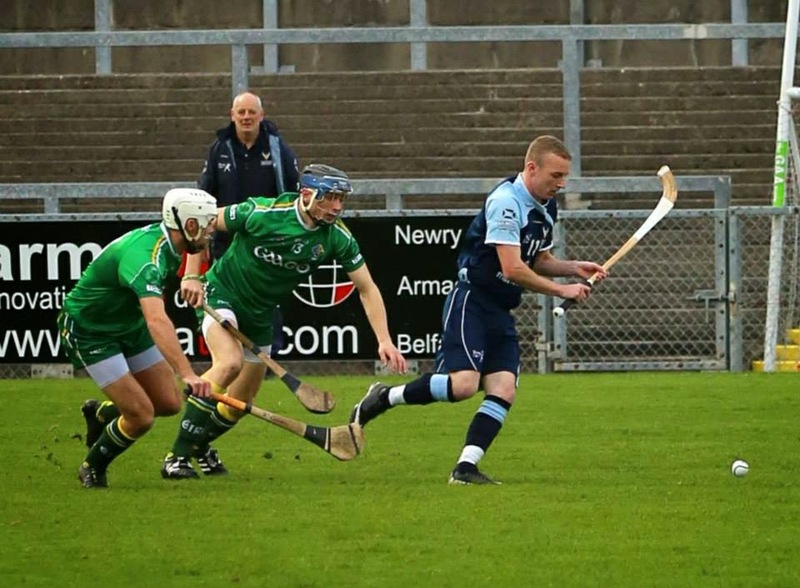 Stuart Macdonald then had to make two fine late saves as the Irish, mindful of next weekend’s return leg in Newry, fought to reduce the margin of defeat. The Wing Centre went on to the field at the end of the match to enjoy the celebration and to have a word with Ronald. While everyone was rejoicing at the win he articulated what most knew already. The Irish would be smarting and out for revenge. With their fitness and the fact that they had a week to analyse a televised recording of the match they would be much better prepared. The other telling factor was bound to be the refereeing. 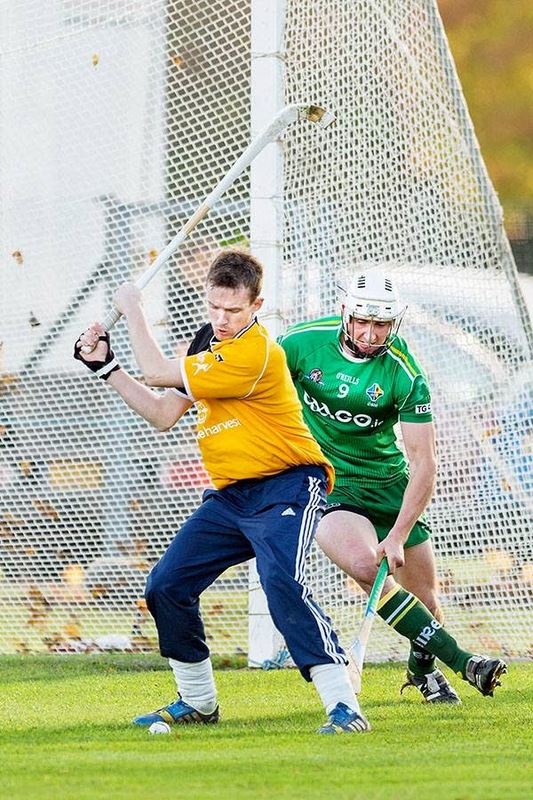 In the first match Ref Innes Wood kept on top of the physical Irish challenges and when they pushed in the back or smashed through from behind with their sticks then he perfectly correctly pulled them up. That was most unlikely to happen at Newry’s Pairc an Esler the following Saturday when the GAA would provide the officials. Then came the big game – under floodlights and more or less impossible to follow in real time because TV4 did not stream it live in Scotland and while it could be accessed via arcane technical means for this writer that was a non-starter. Thanks therefore to phone contact with Calum Duff, Jim Barr, Richard Gall and Eoghan Stewart plus Facebook and Twitter the following account was pieced together. A few words from Gary Innes at the end of the match also helped paint the picture. Is it accurate? After the disappointment of the result that matters little. 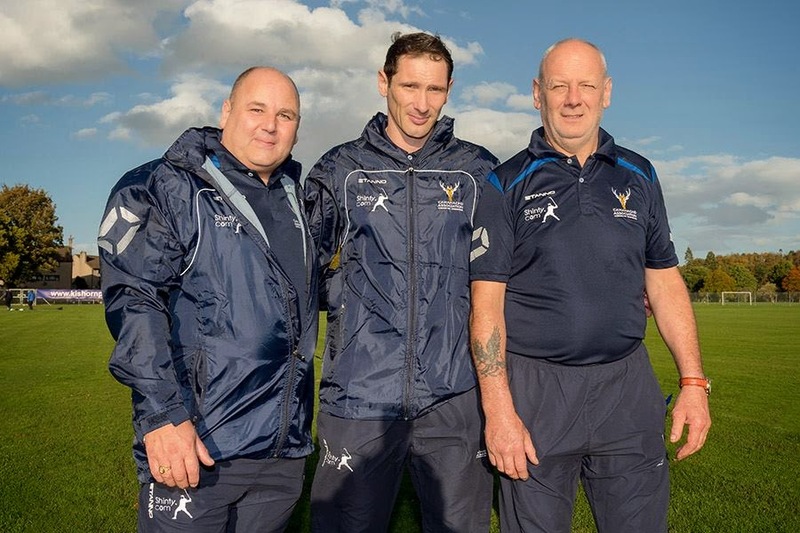 Ronald Ross fielded an unchanged side as Scotland attempted to secure their first victory in the mixed code series since the event became a double header in 2010. With a comfortable lead from the first leg – a 3-1 advantage based on two points for a win and a bonus point for scoring twice ,the side should have been in the driving seat but playing under floodlights into a tricky wind they found their opponents much more up for the return encounter. The speed and the quick interplay of the Irish side hassled the visitors into conceding early fouls but Ireland were initially unable to cut the ball over the bar for a score and it was Scotland’s hero of last week Kevin Bartlett who put his side ahead with a two pointer when Irish keeper Eoin Reilly handled outside the box. Clare’s David Mcinerney quickly levelled with a free off the ground and then just after a nice combination between Bartlett and Roddy Macdonald resulted in a tremendous save from Reilly , West Meath’s Eoin Price broke away to put the Irish ahead by a single point. 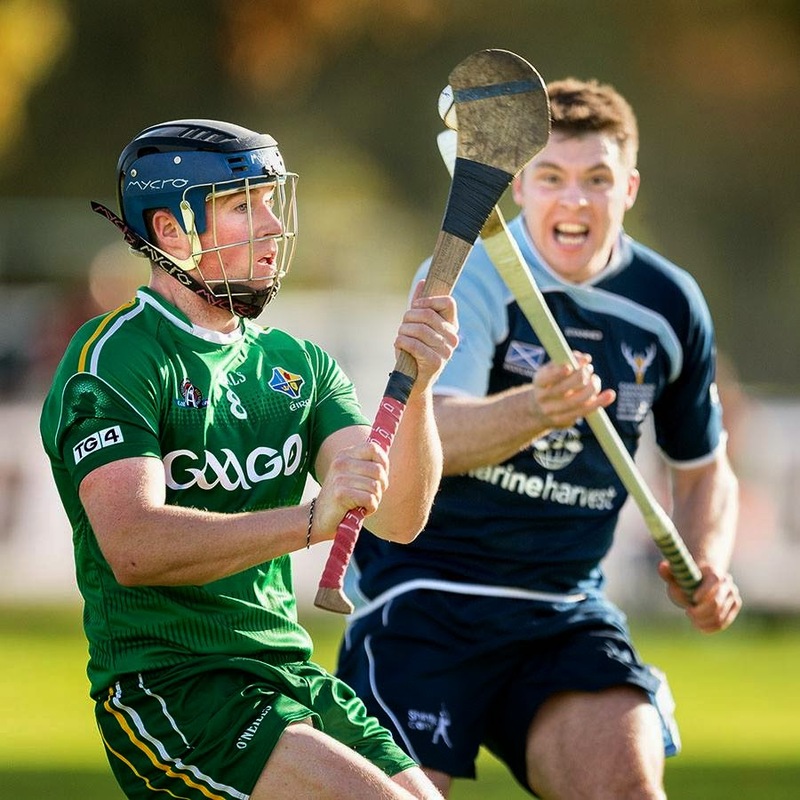 The pace of the Irish continued to worry Scotland and if the Hurlers had not been so wasteful in front of goal then Scotland would have been in deeper trouble. Bartlett though picked up another two points from a free hit to give Scotland a brief lead after front man Fraser Mackintosh had been fouled. Ireland then began to turn the screw. First Paul Divilly powered past stick-less Scotland defender Steven Macdonald to nick a single point then Eoin Price and Patrick Maher worked fine singles before some fine ground hurling from Price culminated in a fine goal. Scotland had a late chance from distance but Steven Macdonald’s free hit flew wide and the visitors went in at half time still ahead on aggregate scores but on the day trailing 9-6. Ireland started the second half in the same high tempo manner with Connor McCann immediately striking a single. Despite Bartlett once again popping over another two pointer Lehane immediately restored the differential. Ireland then had the ball in the net for a second time in 58 minutes but the game was pulled back for an offence which was immediately converted by Lehane for two points to bring the tally to 13-6. Price and Leland picked up two more singles and matters might have been worse if Scotland keeper Stuart Macdonald had not pulled off a fantastic stop from Maher. Bartlett picked up two more points to keep Scotland ahead but further singles from Larkin McLaughlin and local boy John McCusker once again evened things out. It was only a matter of time however before the Irish onslaught succeeded and a second goal 3 minutes from time from man of the match Eoin Price brought Ireland the extra point which decisively ensured a home victory in the series for the 5th year in a row. Further singles from McCusker and Lehane were then racked up to further widen the aggregate scores but it was the two goals from Price which definitively decided the fate of the trophy. A disappointment for Scotland then - and certainly not the first for the country this year. Still, the side was in with a chance right up till the half way mark but the faster, fitter men in green were just too good overall, though to be fair it was not until the last quarter that they finally pulled ahead. As for the Glen? John Barr played his part on both Saturdays. Glenners can’t ask for more. The Bught at least provided the crowd. 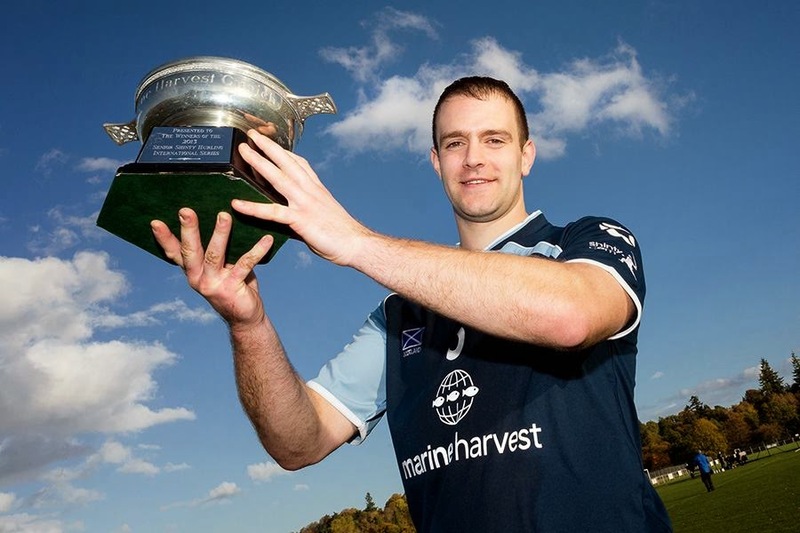 The pictures- cheery ones most of them from that happy day at the Bught and most from the Camanachd Association via Neil Paterson. One or two from the Wing Centre himself- and one of Kevin Bartlett in Newry from Kim Ferguson.Why ? Kevin at least hit the target. There certainly was not much of a crowd in Newry but at least the Bught stand was pretty full up- and you never thought you would ever see two pics of Jimmy Gow in the "D"?